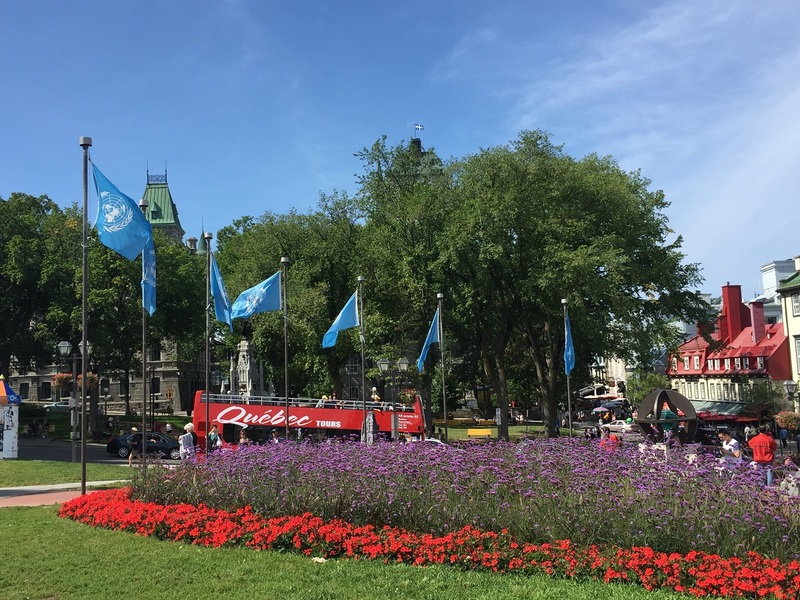 If you’re looking for a Francophone experience without crossing the Atlantic, head to Quebec City which sits on the Saint Lawrence River in the French-speaking Québec province of Canada. It is an ideal introduction to a new culture for little kids through walks along cobbled stoned streets while tasting delicious French pastries inside the fortified walls of the Old City. Your activities in the city can range from gourmet meals on Grand Allée Street to visiting farms at Island of Orleans or taking a cable car up to Montmorency Falls. 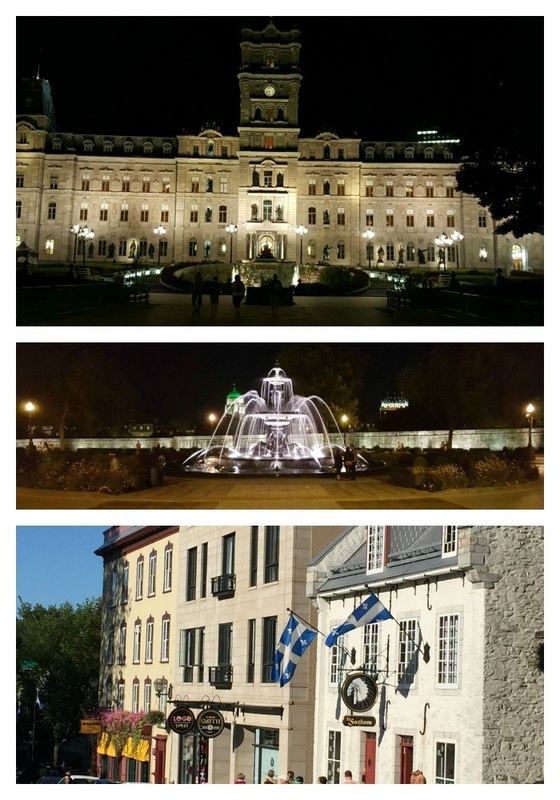 Having spent a few days in Montreal, the biggest city in the Quebec region, we made our way to its capital, Quebec City, which is also the second largest. In contrast to the busy downtown of tall buildings in Montreal, Quebec City had a more serene atmosphere with old stone buildings and stronger roots to its French colonial past. It was a great city to visit with our three year old son and infant daughter. 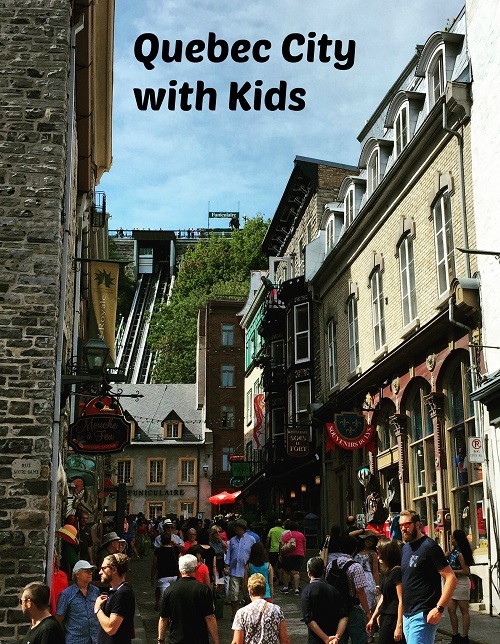 Here are our list of top things to do with in Quebec City with kids. Surrounded by stone wall ramparts, this historic neighborhood is North America’s only remaining fortified city. The British were instrumental in fortifying the walls after a military victory over the French in the late 18th century. But the French culture is steeped in the heart of the city with cafes, bistros and galleries scattered across narrow alleyways transporting you to a French Village. Old Quebec consists of the vibrant neighborhoods of upper town and lower town. Taking a ride on the funicular to get down to lower town was one of the highlights for our three year old. 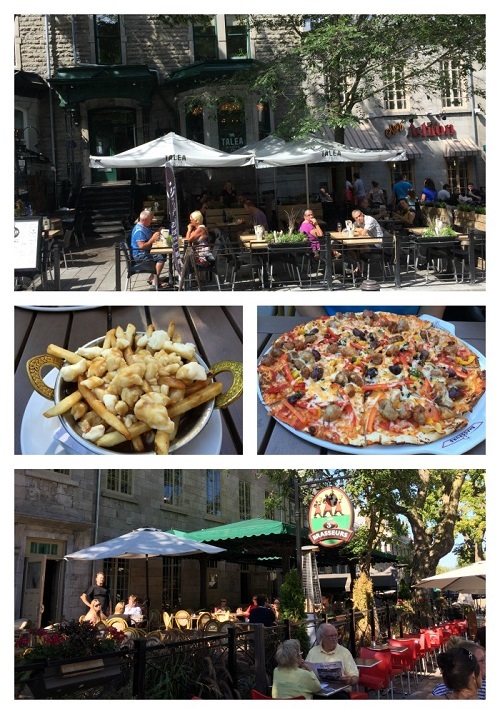 The Petit Champlain district in lower town is a picturesque riverside area is definitely worth exploring for good eats. There are several must see landmarks in Old Quebec. A stop in front of one of the most well-known hotels in Canada Fairmont Le Château Frontenac (where street performances will take place during the day), parliament building and adjoining Tourney water fountain are great photo ops. 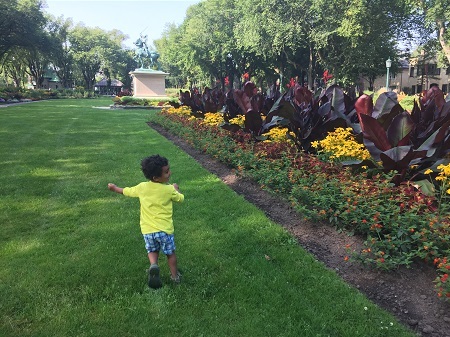 Though it is one of the more expensive activities (about $30 per adult and $20 per kids aged 6-12), we always try to take the hop-on and hop-off bus tour whenever we’re doing a short city stop. It is a great way to cover a lot of ground and see all the major landmarks in the city without having to drive to navigate the local transport system. With open-air seating at the top and air conditioned seating in the bottom, it can accommodate everyone’s preferences. 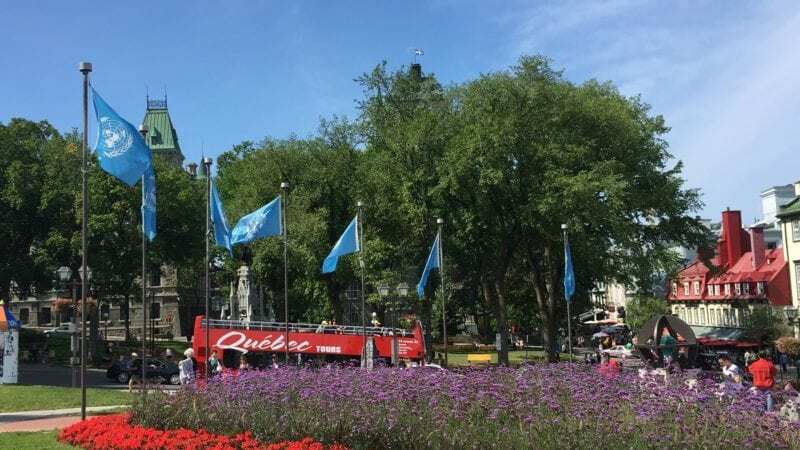 Bus Rouge operates the hop on hop off service in Quebec City and the interaction with local tour guides made it an exceptional experience for us. We got to learn of historical facts such as how the Battle of the Plains of Abraham in 1759 between English and French killed 300 soldiers in 30 minutes including both generals and interesting tidbits about local life like how the large numbers of churches are doubling as flea markets as a way to survive. The tour guides also made extra effort to make the experience personal for young kids by interacting with them in a story telling manner to introduce them to traditions of Quebec. If not for them we would not have known that the curd cheese parts of poutine (Canadian dish, originating in Quebec, made with French fries and cheese curds topped with gravy) is expected squeak when you bite into them. Walking through the beautiful tree lined pathways, it is hard to believe that the clashes of supremacy between the British and French occurred here in the late 18th century. Today Plains of Abraham is a quintessential part of Quebec City that captures the city’s serene spirit. Let the kids run about or relax with a book as you take in the beauty of the green meadows and the grassy knolls. The Joan of Arc Gardens built as a tribute to the lives lost in battle is the centerpiece of the park. This is one of the city’s main streets that leads to the gates of Old Quebec and to Plains of Abraham. The Victorian architecture is evidence to this street’s prominence in the colonial era when it was a neighborhood of choice for the upper class in the 19th century. Today it boasts of lots of outdoor dining options and an active nightlife. According to our tour guide in bus tour, of the best poutine is from Chez Ashton on Grande Allée Street. 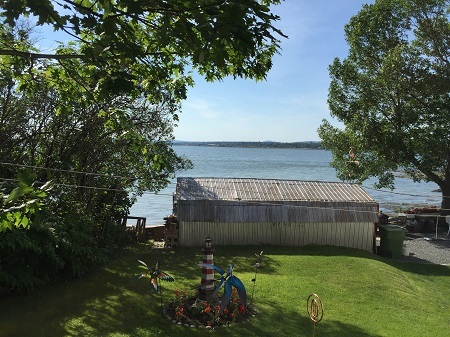 The Island of Orleans is about 15 minutes from Quebec City by car. It is a scenic drive across the only bridge that connects the island to the mainland. Agriculture is the main focus of the island with year-around farming. There are lots of opportunities to pick your own fruit, visit farms and taste local agricultural products. We stopped at a farm stand and a chocolaterie (Chocolaterie de l’Ile d’Orléans) during our drive for some local treats. Located a few minutes’ drive from Quebec City, Montmorency Falls is 99 feet higher than Niagara Falls. There are several ways to admire the view of these falls through look out points on a suspension bridge, stairway and a cable car ride. With two little ones in tow, we opted for the scenic cable car ride. The cable car landing was at Montmorency Manor, a former summer residence of the British monarchy. The mansion now functions as a reception hall along with gift shop and restaurant for tourists. The beautifully maintained gardens were a great backdrop for photos and ideal for picnicking. With two days in Quebec City, we just about scratched the surface of what this beautiful city has to offer. Famous for its winter carnival, Carnival de Quebec, the city hosts many festivals throughout the year. Are you planning a visit to Quebec City in the near future?